R 5899 including 90 R shipping. Apple has officially released the iPhone 7 Plus which is the third phablet from the company. 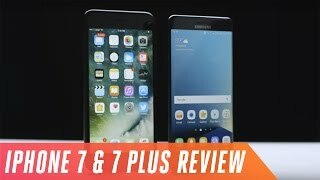 Earlier, there was not a lot of differences between the normal and plus version phones from Apple but this time it’s slightly different as the iPhone 7 Plus offers a really good camera compared to the iPhone 7. To learn more about these differences, new features and the iPhone 7 Plus South Africa price, keep reading. For those who are looking for a major change in design, there is not a lot of visible change to look forward to. The front side looks the same with the 5.5-inch screen showing 1920 x 1080 pixels resolution and a home button that’s not actually a physical button. There is no 3.5mm headphone jack as well which was a rumor earlier. However, there is a noticeable change on the back as now it packs a dual camera with the same camera bump like the iPhone 6S and iPhone 6S Plus which can be a problem for some users. 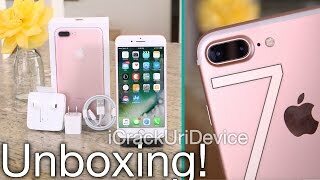 Another notable features are the addition of stereo speakers which is placed at the top and bottom of the iPhone 7 Plus. 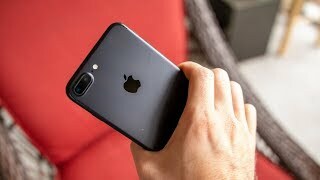 There are two new colors to look out for if you are eagerly waiting for the iPhone 7 Plus release date South Africa, matte black and jet black. However, you might have to wait for a while for the Jet Black version to show up. This is where the iPhone 7 Plus is quite different from the iPhone 7. The Plus version comes with dual cameras, one is the same wide-angle camera that’s included on iPhone 7 and the other one is a 12-megapixel telephoto camera with optical zoom at 2x. High quality zoom is not a common feature in smartphones but now you get high quality zoom thanks to the telephoto zoom camera. Users will also receive a depth-of-field feature later as an update. The front camera has been also updated to a 7-megapixel one. However if it’s an Android camera phone you are after, there is the Samsung Galaxy S7 Edge and Samsung Galaxy Note 7 you can check out as you don’t have to wait for the iPhone 7 Plus release date South Africa to get these. These are almost in the same pricing range as the iPhone 7 Plus South Africa price. To offer users faster processing power while using less power, the iPhone 7 Plus now includes the new A10 Fusion chip which comes with four-core. It’s also expected to last for one more hour compared to the iPhone 6S Plus. The capacity of these phones have been increased as well and now packs 32GB, 128GB and 256GB storage. Users don’t have to worry about the missing headphone jack as all the phones will come with a 3.5mm headphone adapter. For those who are looking for a smaller and cheaper iPhone, there is the iPhone SE. This is where things can be a deal breaker for some people. 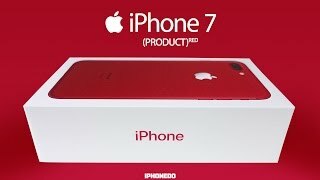 The iPhone 7 Plus will cost the same as the iPhone 6S Plus and the starting price will be around 10700 R. The iPhone 7 Plus release date South Africa is expected sometimes after September 16, 2016. Apple is all set to release three new iPhones next month and one of them is going to be the iPhone 7 Plus. While the release date of these phones are not really a mystery, the new features we can expect to see in these phones are still uncertain at this point. However, we will take a look at the iPhone 7 Plus South Africa price as usual before we get into the nitty gritty details. Judging from Apple’s pricing history, it’s definitely going to be around 9200 to 10700 R when it’s here. Now, to know what we have learned so far about the next big thing from Apple including the iPhone 7 Plus release date South Africa, keep reading. Looks like Apple is not thinking about changing its phone’s design anytime soon. The iPhone 6S Plus followed the footsteps of its previous generation and we are hoping to see something similar with the iPhone 7 Plus. However, there are some major changes even if it’s not visible. The upcoming iPhone 7 Plus is expected to be IP68 for water resistance. Moreover, the antenna bands have been redesigned and is now placed in the bottom and top edges of the phone. But one of the major changes in the phone is the absence of headphone port. There were rumors about Apple planning to remove headphone port and all these leaks are just confirming those rumors. It will be interesting to see how this change affect us after the iPhone 7 Plus release date South Africa. Another major change in the upcoming iPhone 7 Plus is it’s dual-lens camera. We don’t know much about the camera yet including megapixels and other details, but there are definitely some new features to look forward to. There are some weird rumors flying around as well like a bezel-less display and wireless charging support. While a 2K resolution display and wireless charging doesn’t sound too unrealistic, the possibility of bezel-less display is too low at this point. For those who are looking for the best camera smartphone available at the moment can check out the Samsung Galaxy S7 Edge or Samsung Galaxy Note 7 which are in the same pricing range as the iPhone 7 Plus South Africa price. The Apple iPhone 7 Plus is quite popular when it comes to battery life and looks like Apple is planning to take it further. The upcoming phone is expected to feature a bigger battery. The size of the battery is still a mystery at this point so we have to wait for an official announcement to confirm this one. Other than these, we are expecting to see the upcoming iPhone 7 Plus in a new blue color. For those who are looking for a bigger battery phone and is not worried about other specs, there is the Asus Zenfone Max and Lenovo Vibe P1. All the leaks and rumors are pointing at September, 2016 which is the usual routine time for new Apple products. If you are satisfied with the iPhone 7 Plus South Africa price, you don’t have to wait for too long to get this new smartphone in your hand. 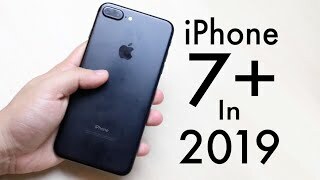 The iphone 7 plus Mobile Phone is manufactured by Apple and was added around November 2018 and is part of the Apple iPhone 7 Plus series. This version of the Mobile Phone comes in Color : Black , Capacity : 32 GB , Band : 3G , Display Size : 5.5 Inch , Sim Cards Slots : Single Sim , Special Features : Touch Screen , Device RAM : 3 GB. The model comes in 20 other variations including combination of 3G, LTE Band , 256 GB, 32 GB, 128 GB Capacity , Black, Jet Black, Gold, Rose Gold, Silver Color , 3 GB Device RAM , 5.5 Inch, 4.7 Inch Display Size , Single Sim Cards Slots , Touch Screen, External Memory Card Special Features. The product is sold at 5 online shops in South Africa in Cape Town, Johannesburg, Durban, Pretoria. 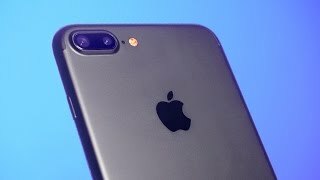 The best price for the Apple iPhone 7 Plus in South Africa is R 12499 sold at My iStore and available with free shipping and delivery within 1-5 working days. By comparing prices and buying from the cheapest store you can save up to 8% or R 1151. 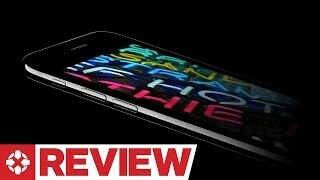 Is the iPhone 7 Plus Worth It? 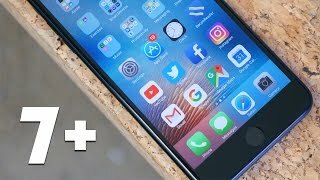 Why iPhone 7 Plus is the BEST iPhone to Buy in 2019! Price has decreased 12% from R 12499 on 2018-11-07 to R 10999 today.